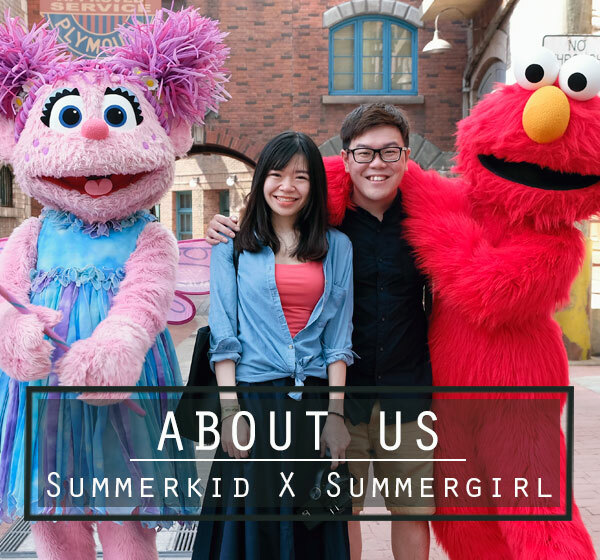 Same as other cafes, Krisna and Robin, owners of Bites Cafe brainstormed for their cafe’s name with different options, and finally comes to the name- Bites. Sweet bites, small bites, heavy bites, breakfast bites, etc., Bites Cafe’s menu is complete with every single of this, which suits the cafe’s name well, at the same time, catchy and easy to remember. 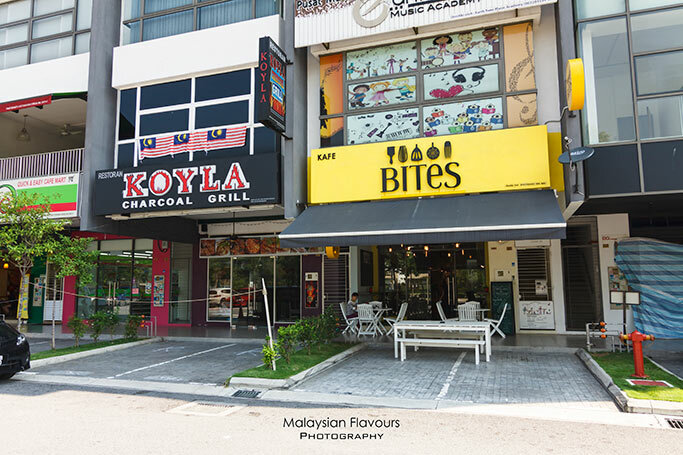 Located at the neighbourhood area of Lake Fields, Sungai Besi Kuala Lumpur, Bites Cafe may not get the winning point for its location compared to many coffee places in Mont Kiara, Hartamas, Damansara, Subang, Petaling Jaya or KL, but this three-month-old cafe is growing well, despite still in the soft launched period. Bites-Lake Fields is just next to Library, a stone’s throw away from PH Pastry. 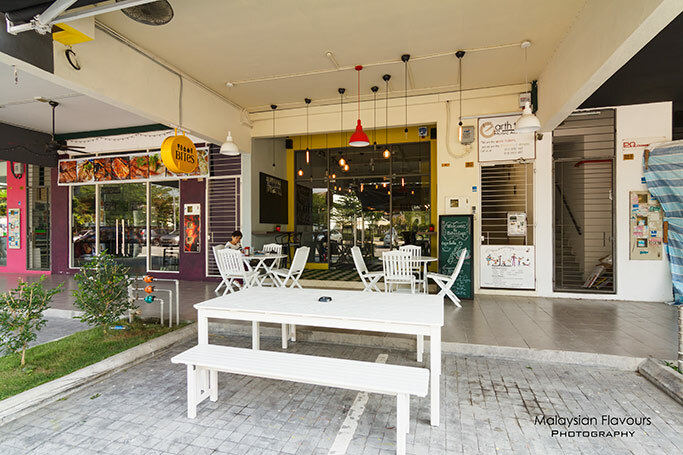 The cafe welcomes you with a mini al-fresco dining area, white colour furniture on man-made checkered meadows. 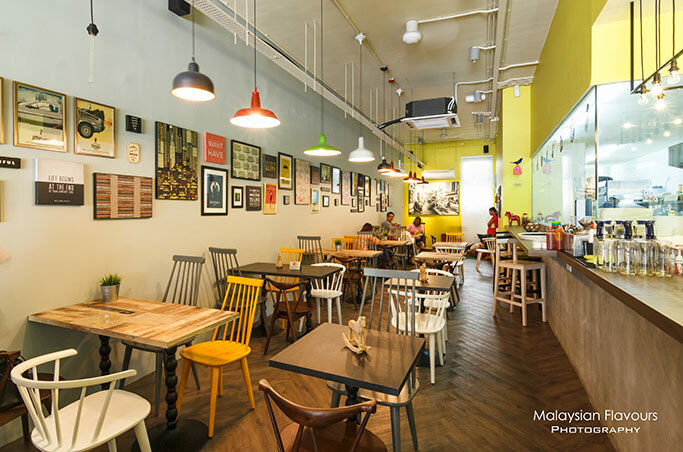 The inside of cafe appears in elongated space, painted in sharp yellow at one side of the wall, with half-opened kitchen; while the rest in baby blue to soften out the brightness, adorning with countless framed pictures. Wooden flooring with wooden tables of similar tone, complement with sleek, colourful chairs for a more lively, homey atmosphere. 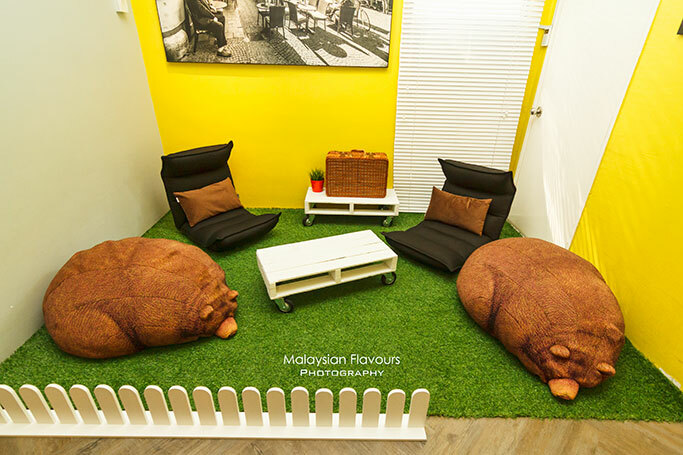 Two huge, lovely bear-shape beanbags and puffy, comfy seats at the end of the cafe, allowing you to sit back and relax. 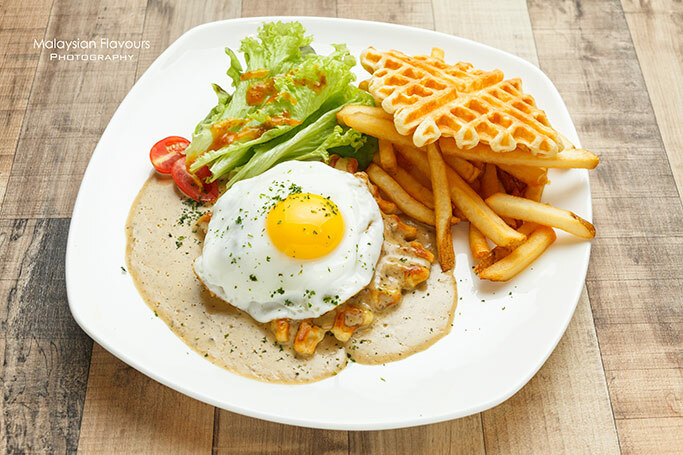 Menu here focuses on Western delight with local and Japanese twist, thoughtfully added with own creativity and ideas that make the whole menu list more noteworthy. 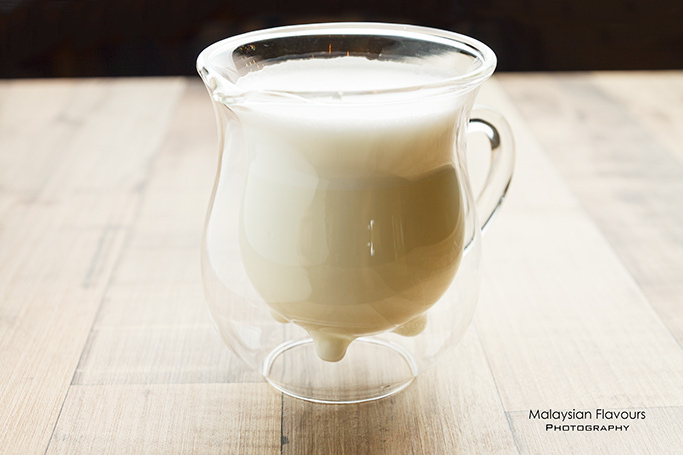 Hot milk served in adorable cow udder shape, double-walled glass. 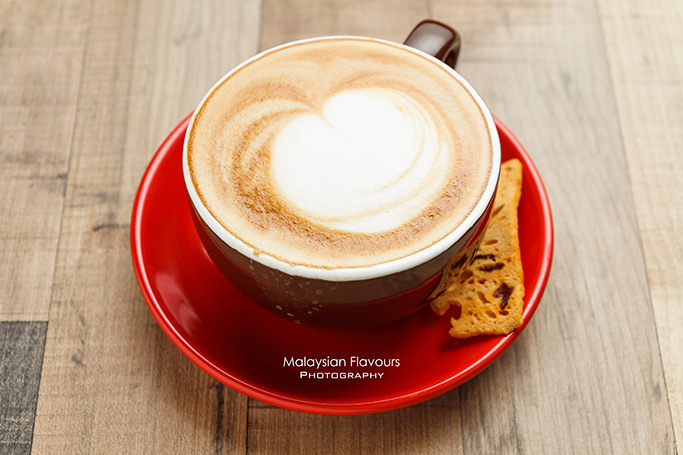 Bites Cafe uses Lavazza coffee, for your coffee fix during your visit. 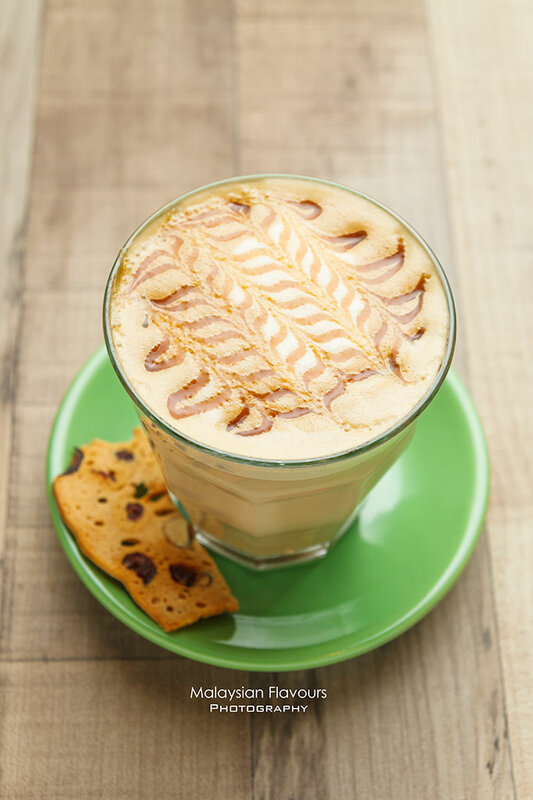 Flavour up your latte with hazelnut, vanilla, caramel syrup. 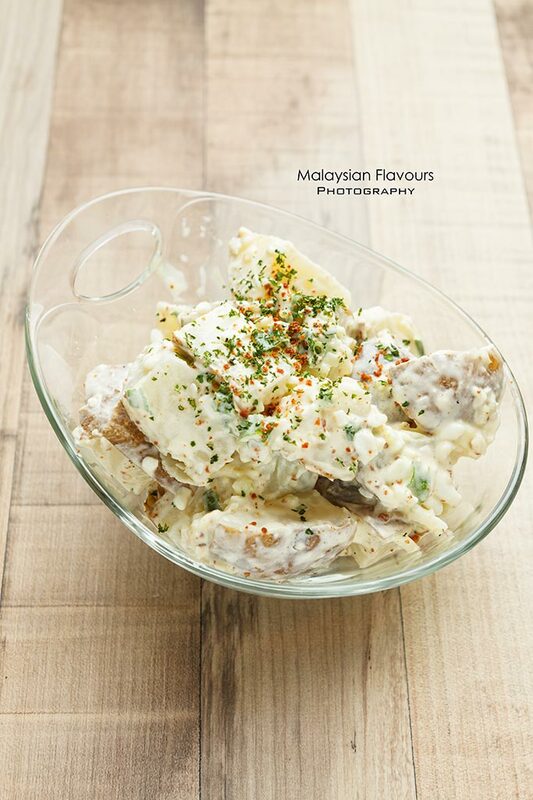 Begin the meal with potato salad, having huge chunks of potato coated in creamy mayo dressing, earthy and starchy, with crispy garnishing for extra bites . Roasted Pumpkin with Honey and Tomato Salad with Mint Dressing seems notably good too. 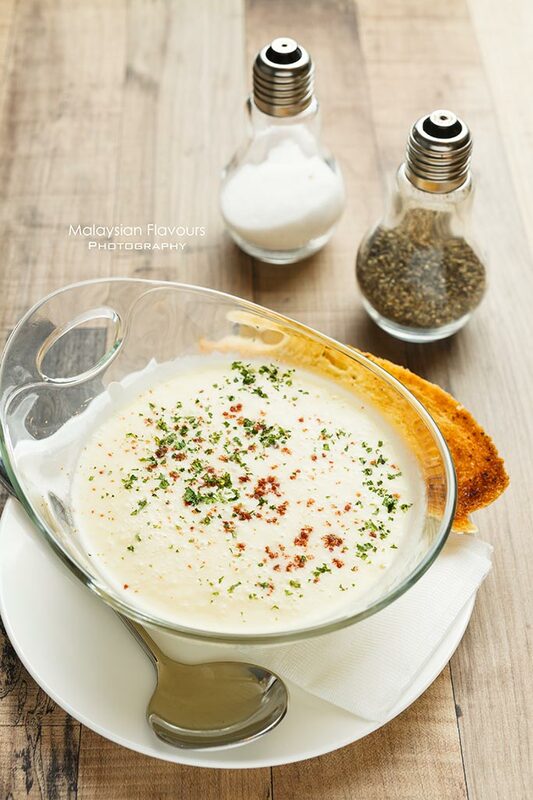 In case solid food or big breakfast platter is too heavy for your early meal, head for their mushroom soup, tummy warming, rich and creamy, pleasing comfort food. Served with toasted baguette slathered with butter. 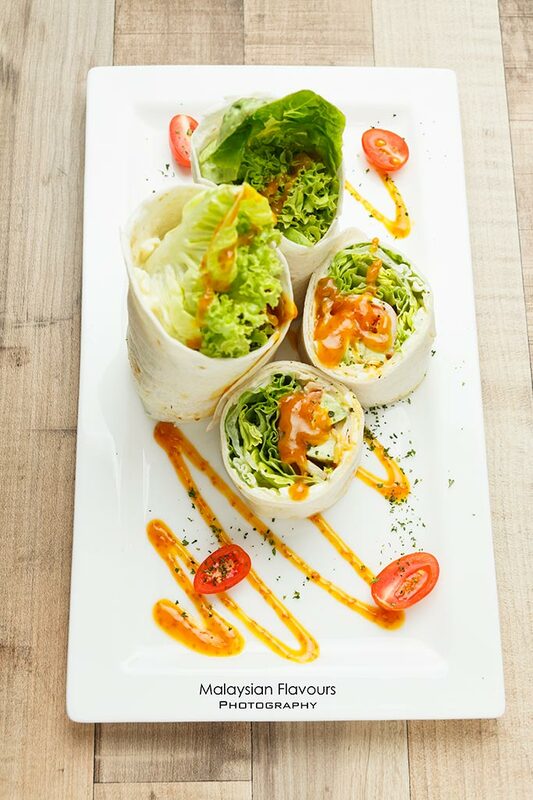 Wrapping is one of the healthy choices, with vegetarian and non vegetarian selection. Apart from the ham, cheese & avocado wrap, vegetarian wrap and grilled chicken wrap on the menu, we had avocado, smoked salmon, onion, tomato, lettuce wrapped in chewy tortilla, dressed with appetizing, fruity dressing. 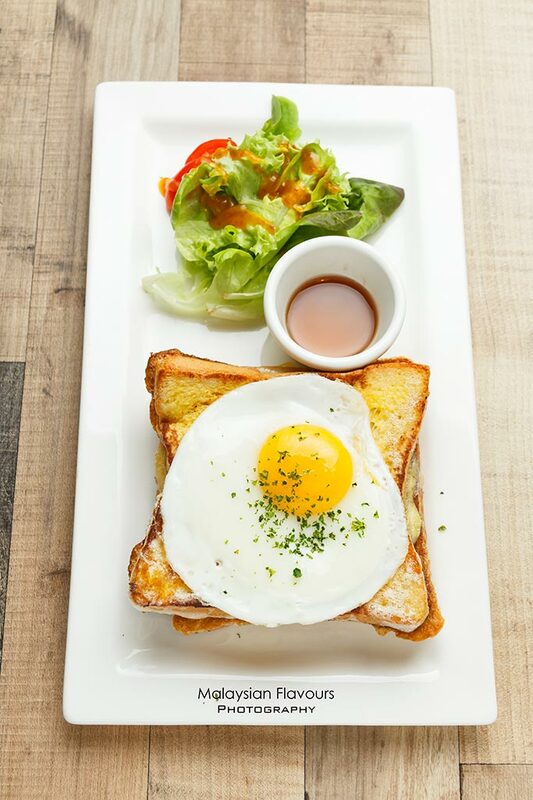 Get your French toast into a mix of sweet and savoury at Bites Cafe. Golden yellow French toast sandwiched with smoky chicken ham and oozy melted cheese, topped with sunny side up and get a sweet sensation from the drizzle of maple syrup. 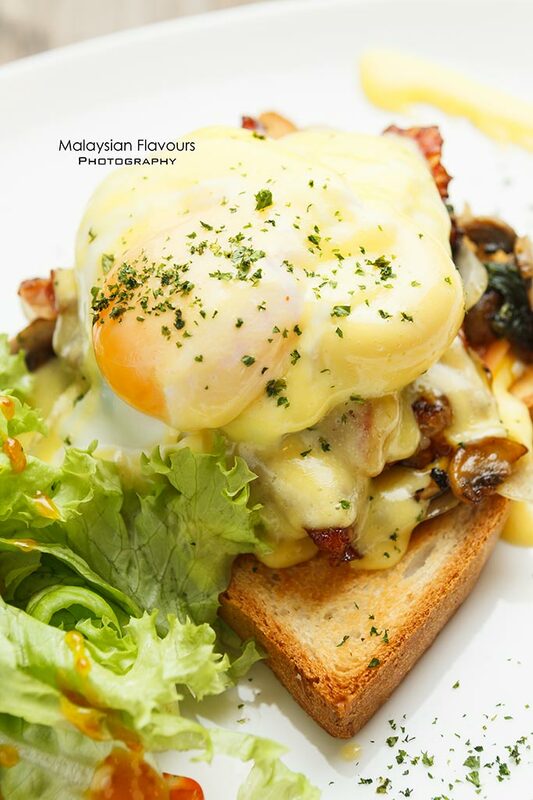 Egg Benedict in Bites Cafe received lots of positive comments from customers. 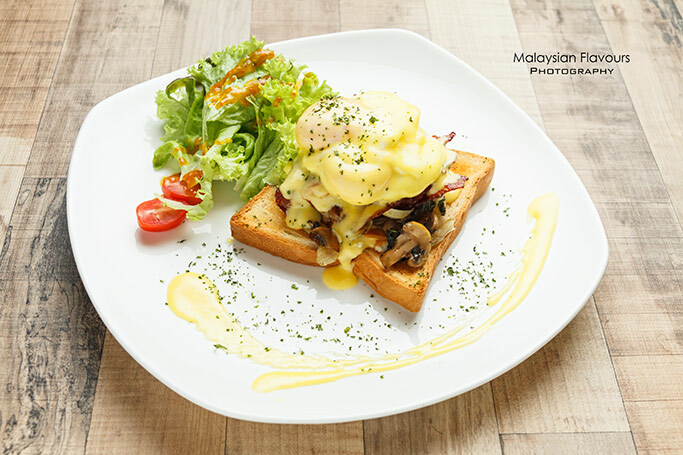 We like the portion (two poached eggs are too much for us), just the right size with a piece of toast piled with aromatic sauteed mushrooms, spinach, crispy beef bacon, poached egg secured with alluring, runny egg yolk, and showered with creamy Hollandaise sauce. Ample of creaminess, yet won’t make you feel overloaded. 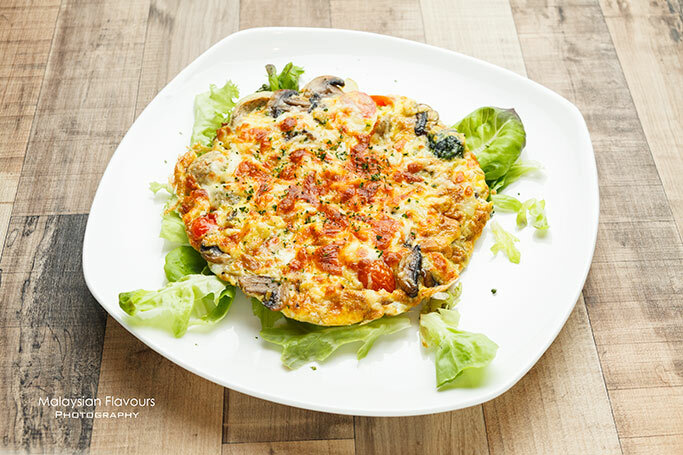 Frittata appears in the shape of mini pizza, toppings of pizza but with egg as the base, less carb more protein, hence less guilt more pleasure. We like how it delivers a crispy edge with burst of tomato and meat juiciness in every bite, followed by a touch of cheesiness, no lack of egg fragrance of course. 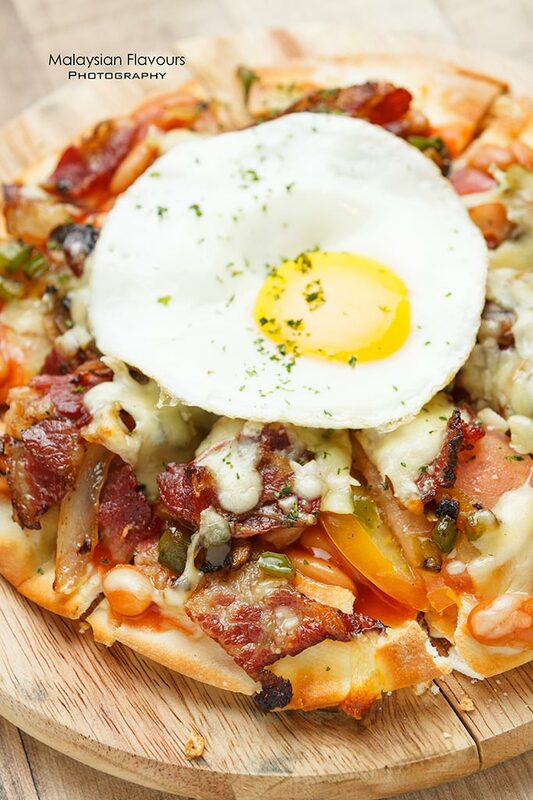 Crunchy, thin pizza base brimming with beef bacon, baked beans, baby spinach, mushroom, cheese and sunny side up. Great for diners who like their pizza overflowed with ingredients. Perfect for sharing. 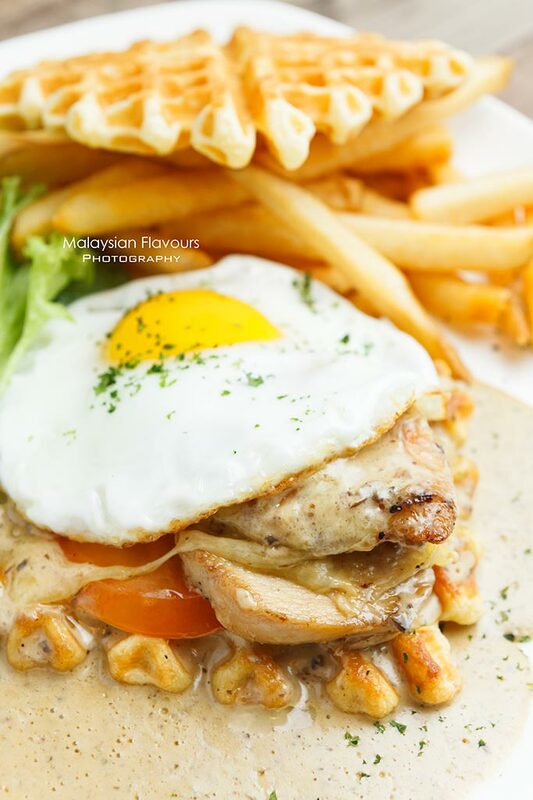 It’s great at anytime, as Bites’s Grilled Chicken & Waffle Sandwich combines breakfast( the sunny side up, waffle), lunch and dinner( the grilled chicken with melted cheese, drenched in thick, creamy mushroom sauce) elements in one. More than just the usual sandwich we thought of. 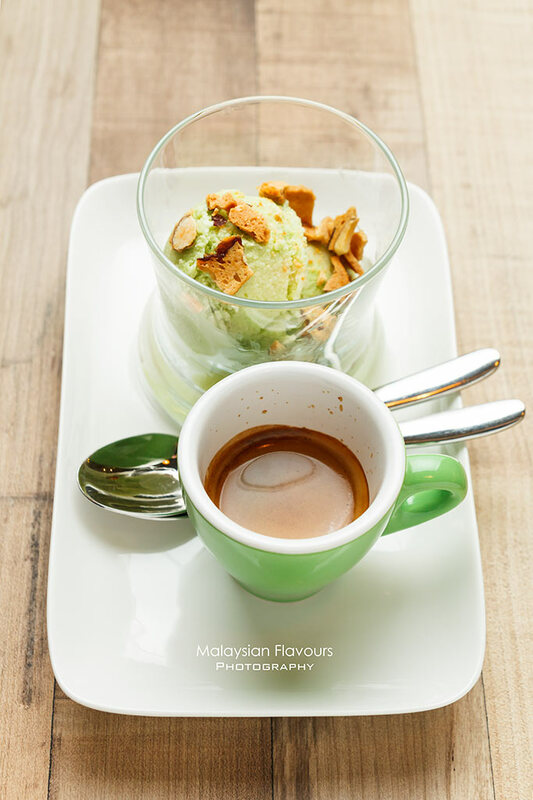 Do not leave Bites Cafe without indulging into their signature dessert- Affogato with Crushed Cranberry Almond Biscotti with Pandan Kaya Ice Cream. Ice cream is sourced from The Last Polka, the popular homemade ice cream in Kuala Lumpur. Enjoy the artisan ice cream amplifies with faint hint of kaya sweetness, with balanced with intense bitterness of espresso. Another must try, and best seller in Bites Cafe that proudly reflects our local famous sweet ingredients- Gula melaka, or palm sugar. 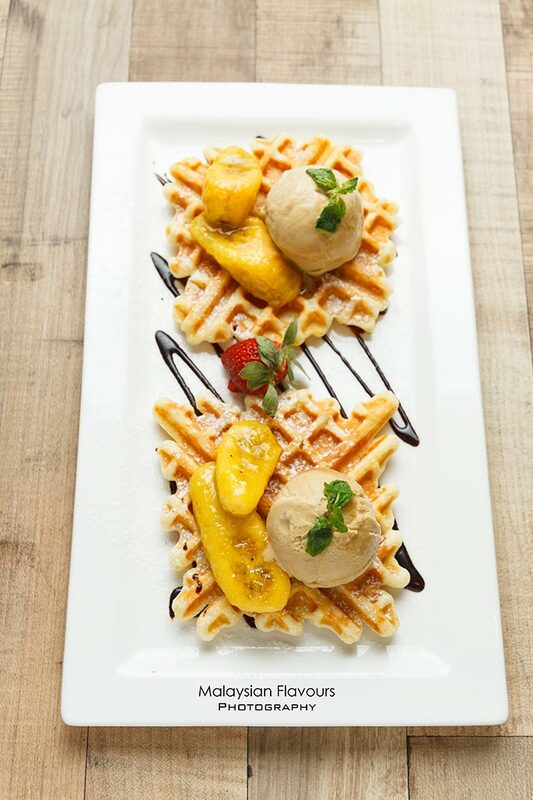 Waffles are freshly made in house, fluffy soft with slight crispness at the outside, less sugar, obviously healthier; crowned with Gula Melaka infused ice cream. Trust us, you will like the combination.